Ahhhhh the first day of SPRING. The days are getting longer and warmer, the birds are singing and there are tiny signs of life popping out of the ground. Here in Boulder, Spring also means crazy wet and heavy snow storms, rising creek waters and outdoor adventures! 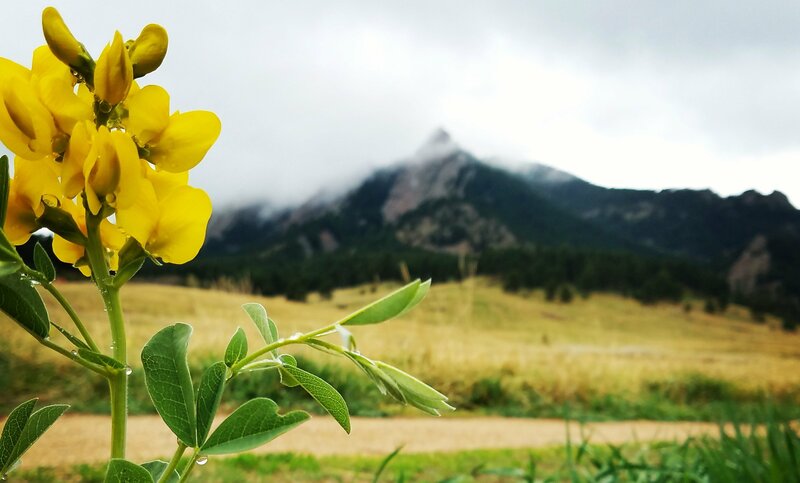 Here are seven of the MANY reasons why springtime in Boulder is the BEST! Toss that jacket aside and baske in the warm sunshine!! Yes, it will snow, but the warm days in between will melt the ice off the trails quickly, allowing for you to get back to your favorite hiking spots. The mix of sun and storms create the most beautiful rainbows, and sometimes other interesting phenomenons like thunder snow. Look who we found hanging out on Pearl Street. Peak tulip time is coming! In late March and early April, Pearl Street explodes with colorful blooming tulips. Springtime in Boulder means the BolderBOULDER, the Boulder Creek Fest, Boulder Arts Week, the Tulip and Fairy Festival and so much more! Ok, so our love affair with dogs is year-round. But look how cute they are all happy in the sunshine! The heavy, wet spring snows melt into bright, green, sunshiny days. Spring is quickly approaching! It won’t be long until Boulder is bursting with flowers. Photo by Ann G. Duncan.